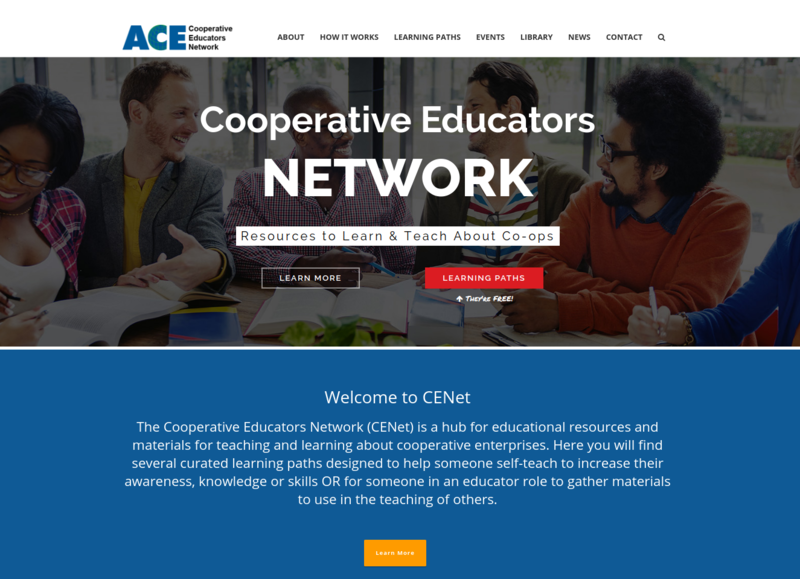 GEO is happy to announce that the Cooperative Educators Network website is up and running! We’ve been working on this for quite awhile now and we thought it would be nice to share some of the project history and vision with our readers. In 2016, GEO, along with the Association of Cooperative Educators (ACE), and Toolbox for Education and Social Action (TESA), received a grant from the Cenex Harvest States (CHS) Foundation to create a plan for an on-line cooperative education portal. All three organizations had previously submitted individual proposals along these same lines, but instead of picking just one of the projects to fund, it was suggested that the three organizations work together on a joint proposal. It turned out to be a excellent idea, and a great example of Cooperative Principle #6. After receiving a planning grant from the CHS Foundation, GEO, ACE, and TESA set to work envisioning what a useful on-line education tool for cooperators might look like. We contacted over 200 individuals and organizations for thoughts and advice about what they would find most useful in a such a website. We got a good deal of response, and after much discussion and consultation, (including a trip to Philadelphia to meet with cooperative educators from USFWC, PACA, and CDS Consulting) we finally settled on an idea for a website that we really liked, and that we thought would be useful for the co-op community. However, it was a very ambitious idea. What we wanted to create would be something akin to a “Google for co-ops.” Users would be able to specify the industry, region and type of co-operative they wanted information on and our website would then grab links to existing on-line resources that fit those descriptions. However, unlike Google and other search engines, our website would only be searching co-op websites, and would therefore return much more relevant results than simply using a normal search engine. We also wanted the website to provide other services (such as a “library of libraries” page with links to the best cooperative resource libraries from organizations like USFWC and NASCO) but the tailored searchi functionality was at the heart of the proposal. Unfortunately, our big dreams came with big price tags, and it turns out that building a customized search/filter tool is not as easy as one might think. We engaged a web design cooperative to come up with a plan for build out and a prospective budget for the project. It was considerably more expensive than we were expecting, but after discussing with them at length where the costs were coming from, and after getting several other bids for the project that all came out pretty much the same, we realized that we were simply going to need quite a bit of money to realize our vision. We put together our grant proposal for the project and presented it to the CHS Foundation in 2017. The Foundation funded our proposal, but was not able to provide enough financial assistance for us to complete the project as we had planned. But not being types who are easily dissuaded, we decided to re-work our design for the website so that it would fit within the budget that we had to work with, while still providing a similar tool to what we initially envisioned. It wasn’t long before we hit on the next best option. Instead of having an automated search function that would algorithmically surface the best material, we would simply curate resources ourselves and categorize them based on different expected audiences. We would call these categories “Learning Paths,” and while this method would be more time intensive for the core group members, it would also be much less expensive to pull off. 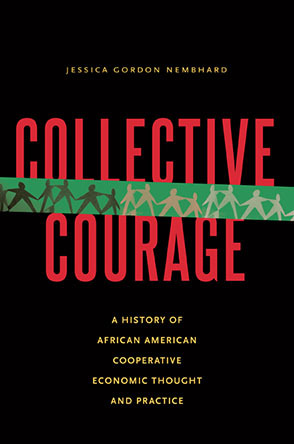 And so, the Cooperative Educators Network was born. We set to work contacting subject-matter experts to help us find the best co-op education materials available. We created Learning Paths for people wanting to start up a worker co-op, for people providing cooperative development and technical assistance services, for board members of cooperatives, for government officials wanting to support co-ops in their communities, for people doing co-op education with young people in primary and secondary schools, and for many others as well. We also engaged the services of our French and Spanish-speaking colleagues to provide Learning Paths in both of those languages. It was a long process and required a lot of time and energy from the team, but in the end it was definitely worth the effort. While ACE, GEO and TESA initiated the project, as word spread other organizations who were thinking along similar lines jumped on board (more Principle 6 in action! ), specifically the Canadian Association for Studies in Co-operation (CASC) and Co-operatives and Mutuals Canada (CMC). The core team of Erin Hancock (ACE), Josh Davis (GEO) and Darya Marchenkova (TESA) was soon joined by Amanda Solmes, representing CASC and CMC. Not only was Amanda a great addition to the team, but CMC has committed to continue supporting the project post-launch. Now, the Cooperative Educators Network (CENet) is up and running. Just click on the “Learning Paths” button to see the list of all the categories we’ve assembled. Selecting one of them will take you to a page of resources from around the web relevant to that topic, including text articles, podcasts, and videos. These Learning Paths will prove to be an invaluable tool for cooperative educators and technical assistance providers, as well as for those looking to teach themselves about the world of co-ops. CENet also includes our “library of libraries,” as well as upcoming events and recent co-op news. The CENet project is an on-going endeavor and will be updated with new Learning Paths, resources and tools as they become available. Thus, we invite cooperators to send their suggestions for resources and/or categories that they think should be added to the site to ed@ace.coop. Oh, and we’re still interested in the original “Google for co-ops” idea, so if you or someone you know can make that happen, please feel free to drop us a line. In the mean time, take a stroll through the CENet website and see what we’ve got on offer. You’re guaranteed to find something useful. i It would technically be a filter, not a search. Josh Davis is the GEO Content Manager. The exciting Association of Cooperative Educators conference in Cleveland July 27-30!